A service level agreement – commonly called an SLA – is a key component of every contractual relationship with your third parties. 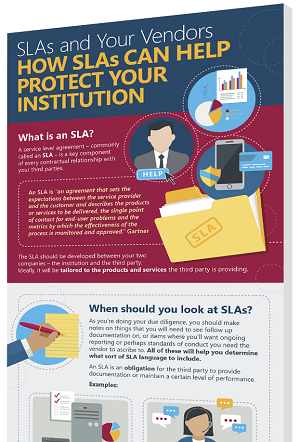 SLAs should include expectations on the type of reporting and documentation you’ll receive from the third party. Learn more in our latest free infographic.